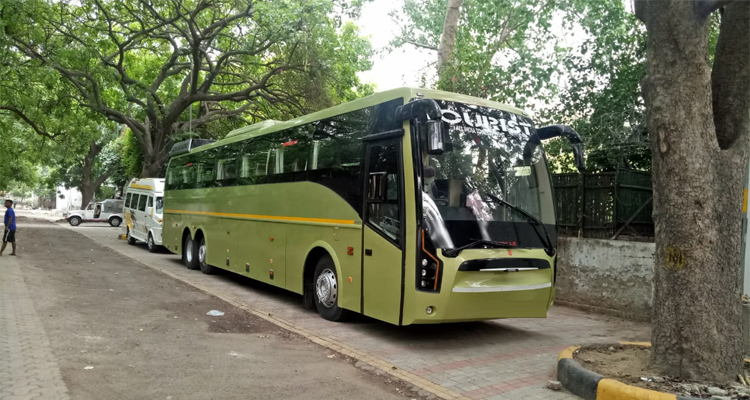 The new name of luxury is Volvo multi axle 49-seater coach with luxury interior, built-in and highest standard by Volvo. 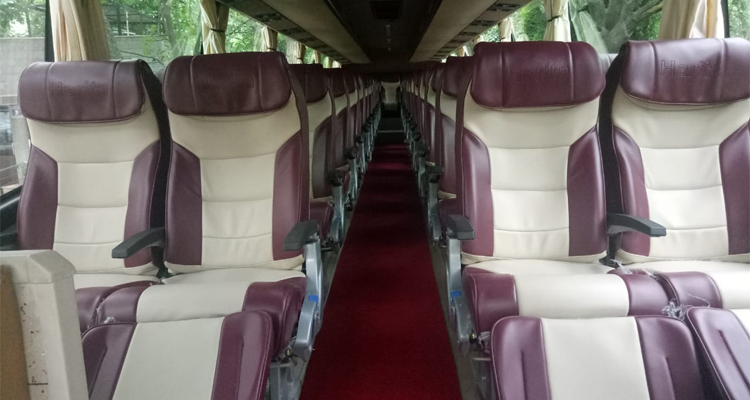 The seating layout of this bus is comfortable enough and having thigh rest along with 2X2 layout for best in class gangway space. All seat is having seat belt, recliner seat with finest Italian fabric for upholstery. 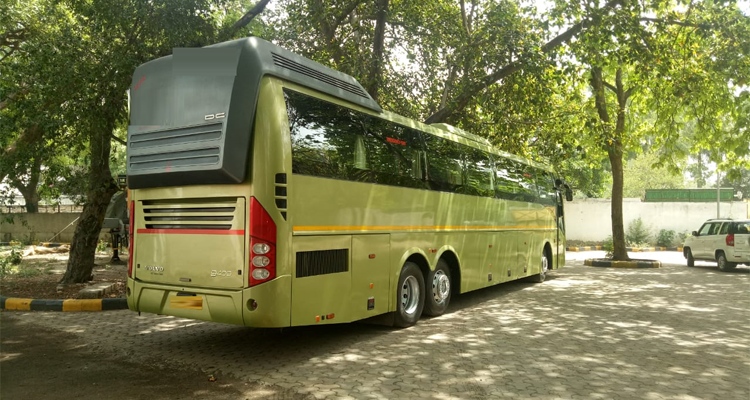 Volvo 49-seater multi axle luxury coach is available for booking for special events, special purpose multi city travel and also for the purpose of guest, eminent personality movements from one place to another.